There are many things that spring to mind when you think of Italy: tradition, love of family and of course, passion for food! We've made great friends with generations of local Italian bakers, our wonderful Amici, who have shared with us their traditional methods and quality ingredients. From our time spent together, we have crafted a range of authentic Italian biscuits and bakery, capturing the devotion Italians have to their food, their friends and their family. And it's our pleasure to bring this wonderful taste of Italy to your table for you to enjoy with yours! 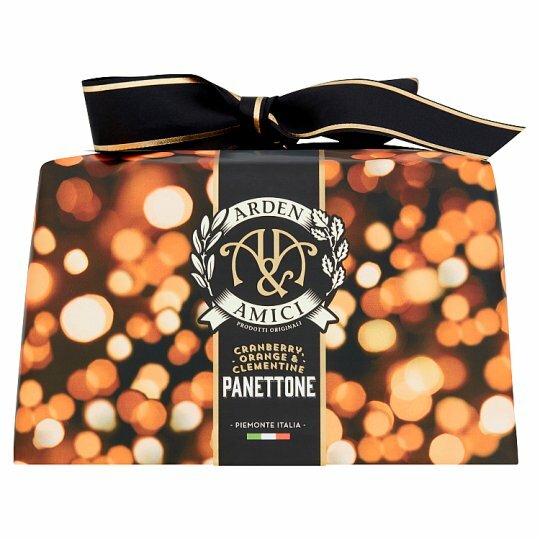 Our Panettone originates from a small baker's shop in Turin and was first made in the early '60s by friends Vincenzo, Antonio and Bruno. After building their first bakery in an old convent, their Panettone soon became a firm favourite throughout Italy and across the globe. The business is now run by their sons and daughters and the passion for quality lives on as the next generation continue to lovingly nurture the unique Mother Dough as their fathers did for generations before them. You cannot escape the sense of tradition and pride running through this family business as well as their love of great food, wine and friendship.